Emotional intelligence revolves around the idea of understanding and being in control of your emotions during different situations. Your EQ (Emotional Quotient) and IQ (Intelligence Quotient) need to function together for you to be a complete individual. I am sure you must be wondering, why do we need to adapt to this new idea of achieving a balanced EQ and IQ level? Well, the second decade of the new millennium is almost over and tricks of all trades have changed! There are new ways, theories, and motives. In order to achieve these, you have got to adapt. People have become more conscientious and you have got to get with the times. Understanding this need alone is going to solve a lot of your problems. IQ does not stand for much without EQ because for a positive and sustainable outcome, it is very important to be able to implement your IQ in the most comprehensive way possible, for others to perceive it and generate work and results from the way you want them to. 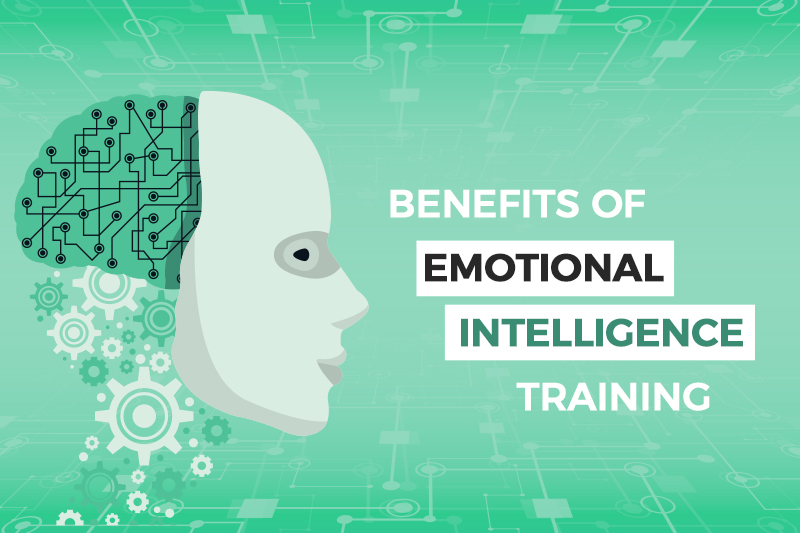 Emotional Intelligence Training basically teaches you how to get work done in a progressive, constructive, yet maintainable manner. Self-awareness- this is the most important skill of all because to get up and do something about a problem, you need to be aware of it in the first place and only then can you actually work out how to go about things. Self-regulation- understanding your own moods and patterns as to how they function and what kind of emotion is triggered by what sort of stimuli is necessary. With this kind of understanding, you can work towards managing these feelings for the betterment of any situation. Empathy- perceiving the other person’s feelings and understanding them according to their individual circumstances is of utmost importance in Emotional Intelligence Training. The ability to anticipate the other person’s emotional standing enables us to be in touch with our own feelings and develop an understanding of why we feel the way we do and whether it affects the people we interact with. Social Skills- although the term may sound very broad and may have its own intricacies, it is the key to settling into any environment. Your aptitude for communication in an open and affable manner is going to make things easier at your space of work, at home, and of course, socially! Once you get the social skills ball rolling, you will find it easier to deal with people in all environments and use this to achieve your goals. Empathy; understanding the feelings of another enables you to understand your own mindset. Trust; building trust not just with others but with yourself is equally important for your work ethic and personal morals. Communication; People will take you more seriously if you can put your vision across in a way for everybody to understand. Approachability; being an amicable presence will not just create a workable environment for your colleagues, but also help you to learn new things. Tolerance to change and Flexibility; not all change is good, but it is up to you to judge if something is good enough for the circumstances then there is no harm in implementing new ideas. Punctuality; being on time is the most basic life skill you can have because it creates a lasting impression. Anger and stress management; keeping your anger under control is the best way to go about things because it is always a better idea to solve the problem rather than to dwell on it and achieve nothing. Assertiveness and accountability; although the aforementioned skills are of paramount significance, don’t forget that to achieve, you have got to take responsibility and be assertive so that people don’t take you for a ride. All in all, these skills and attributes are a necessity for the personal development process. Social and Emotional Learning is not a new age technique, they are basics that high EQ leaders follow to aim, achieve and conquer the personal, social, and professional front of life. 0 Comments on "The Benefits of Balancing your EQ and IQ with Emotional Intelligence Training"